SurfKoat's Metallic FX coatings will allow you to array your concrete to replicate the look of many shimmery patinas. 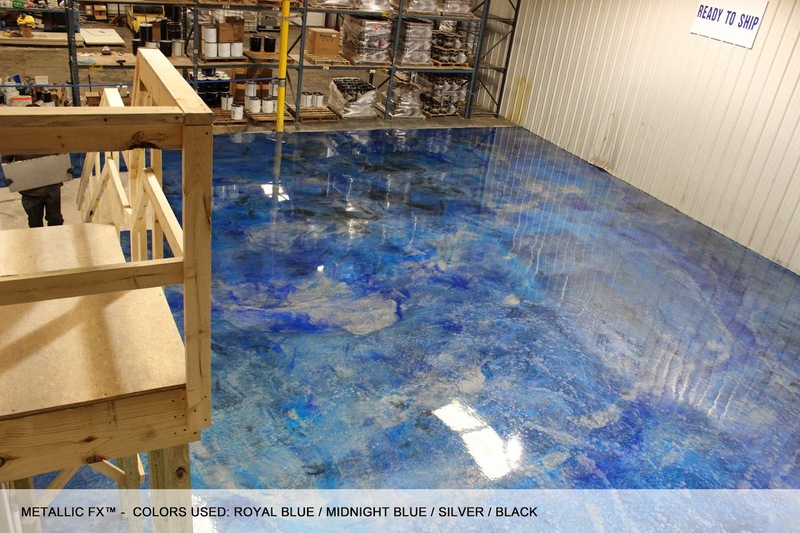 The ability to achieve spectacular special effects with concrete floor coatings, stains, and dyes is nothing new. But now a whole new alchemy is available for adding that dazzle to your floors. 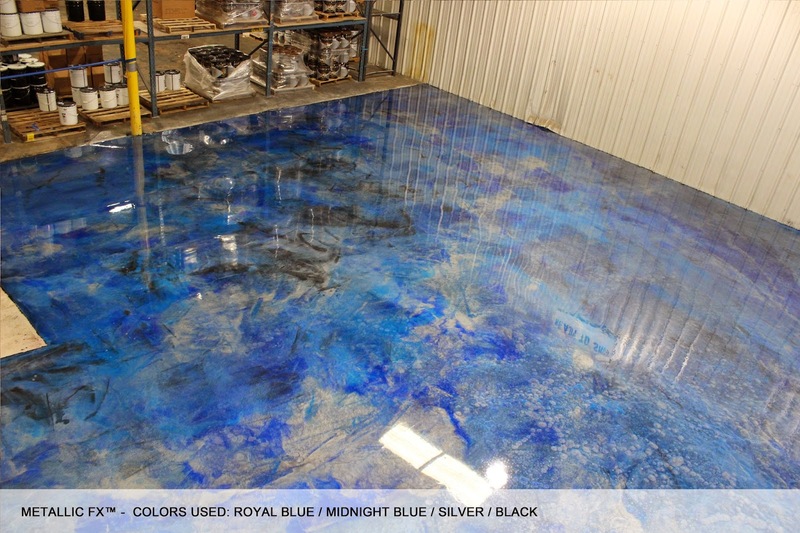 Their Metallic FX coatings will allow you to "guild" your concrete to replicate the look of Royal Blue, Midnight Blue, Silver, & Black, and other shimmery patinas. New concrete metallic coating on your floors gives you a whole new look and shows you care. Some of these coatings contain real metallic powders, while others use special reflective pigments. They are especially popular for floors in retail, office, and restaurant settings, where a modern, upscale look is desired. Check these new unique effects from SurfKoat's metallic coatings.